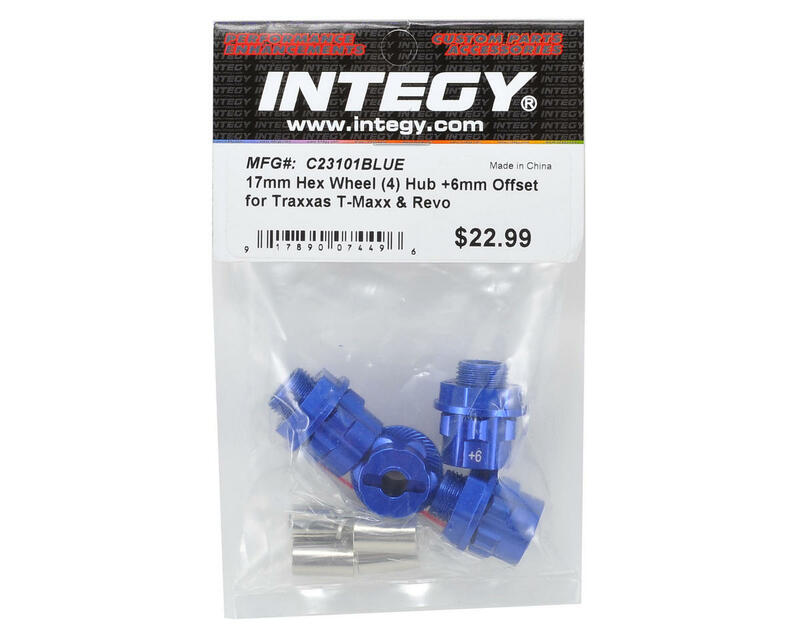 This is an optional Team Integy 17mm Aluminum Hex Wheel Hub Set, and is intended for use with the Traxxas T-Maxx, Summit and Revo monster trucks. These hubs provide an increase of 6mm to the width of the vehicle, and look good doing it! 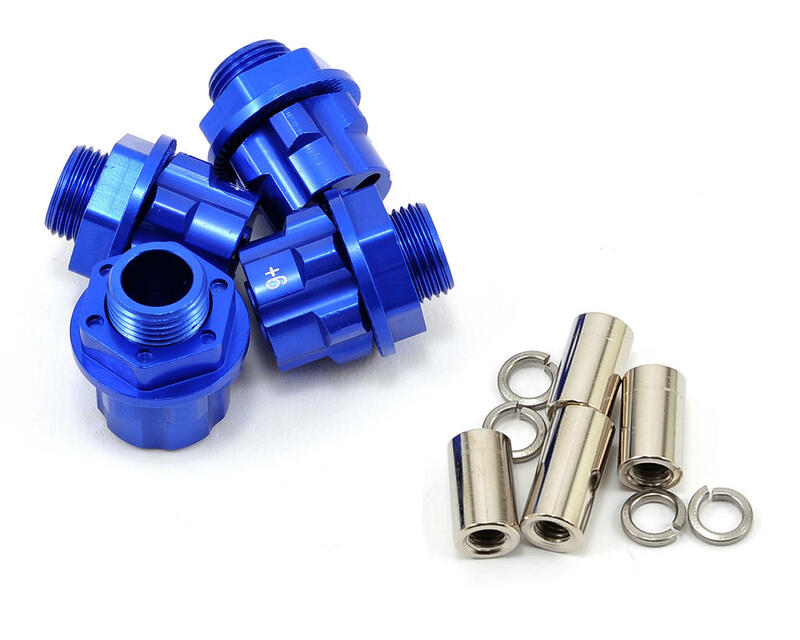 These stylish blue anodized aluminum hubs also include four wheel nuts, four spacer posts and four lock washers.